Over the last thousand years Bristol City Docks has changed its shape quite substantially and almost all of this has been man made. The Romans founded a settlement at Sea Mills called Portus Abonae as early as the third century AD on the River Avon. The Romans also settled in Bristol and so it is probable that its use as a port dates back well beyond a thousand years. The most dramatic changes were in 1240 to 1247 when the course of The River Frome was substantially altered to improve the amount of wharves available. The trench required was nearly half a mile long, about 40 yards wide and 18 feet deep, carrying the Frome out to join the Avon at Canons Marsh. Then between 1800 and 1809 the course of the River Avon was altered to create The Cut and Bristol Floating Harbour, in other words a large area of docks which could be isolated from the tides and kept at a near constant depth. Other changes include the digging of docks and locks some of which were subsequently covered over and culverting. There is extensive culverting in the City, some created to divert sewage underground and some to allow building. For example the stretch of the Frome from Wade Street in St Judes to Stone Bridge (roughly where Quay Head is now) was covered in the latter half of the nineteenth century. Some brooks (like Sand Brook which roughly followed Jacobs Wells Road) have disappeared but are not shown as culverted on the Bristol City waterways map. The Avon River has a large tidal rise and fall (about 9 metres) rivers tributaries become tidal as they enter the bigger river. In soft ground this creates a wider inlet or pill (“Pill” comes from the Welsh word pwl, which means an inlet, harbour, or pool). These pills provided natural tidal harbours which were turned into larger docks and sometimes dry docks ie docks with gates which could either hold the water at low in or keep the water out to allow for building and repair. It is probable for example there was a pill at the end of Sand Brook which led to the building of Lime Kiln Dock in 1662. The map of 1066 shows the waterways largely untouched by human endeavour although it could be that the ditch or moat between the Frome and the Avon had been added to provide further protection for the settlement on higher ground from the West. The map of 1250 shows the quite extraordinary repositioning of the Frome to create the New Channel with all its extra wharves. This is after The Norman Castle was built in the early 1100s to replace the wooden fort of the late 11th Century. There have also been extensive changes to the moats/ditches protecting the castle and settlement from the North, East and South. The map of 1673 (from Mildred) shows very little change over the last four centuries although The Sand Brook, St Brendans Channel and the ditch to the East of the City seems to have been lost. John Cabots voyage to North America (Newfoundland) was from Bristol in 1497 in The Matthew. In 1656 Bristol Castle and the defensive walls were demolished on the orders of Oliver Cromwell. The River Malago still enters The Avon at Trin Mills. The map of 1844 (from Chilcott) shows further extensive changes in particular the digging of the cut for the new route of the River Avon between Ashton and Totterdown and the creation of The Floating Harbour from Rownham around to Totterdown Basin. The work began in 1804 and was completed in 1809 following a plan by Jessop. The main entrance to the River Avon and the sea is from the West via Jessops Lock into The Cumberland Basin. Along the Floating Harbour numbers of additional docks have been dug some of which were dry docks where ships could be built or repaired. Apart from The Cumberland Basin there were two others that allowed lock access to The Floating Harbour, Bathurst in Redcliffe and the Totterdown Basin which also connected to The Feeder, a canal bringing water from the Avon upstream at Netham, to keep the Floating Harbour topped up. In 1737 Bristol would overtake London as England’s number one slaving port, with 37 voyages that year. However, by 1747 Liverpool had overtaken Bristol as Britain’s premier slaving port, with about 49 voyages a year against Bristol’s average of 20. In 1791 the House of Common rejected the motion of William Wilberforce to introduce The Abolition of Slavery Bill. This was followed by celebrations in Bristol on Brandon Hill. The British Slave Trade was finally abolished by Act of Parliament in 1807. The last slaving voyage out of Bristol The Alert carried 240 enslaved Africans from the West Coast of Africa to Jamaica. In the 1820s Mylnes Culvert was built under the city from the River Frome to The Cut to divert sewage away from the Floating Harbour. In 1843 the worlds first iron and propeller ship, designed by IK Brunel, the SS Great Britain, was launched from Great Western Dockyard. 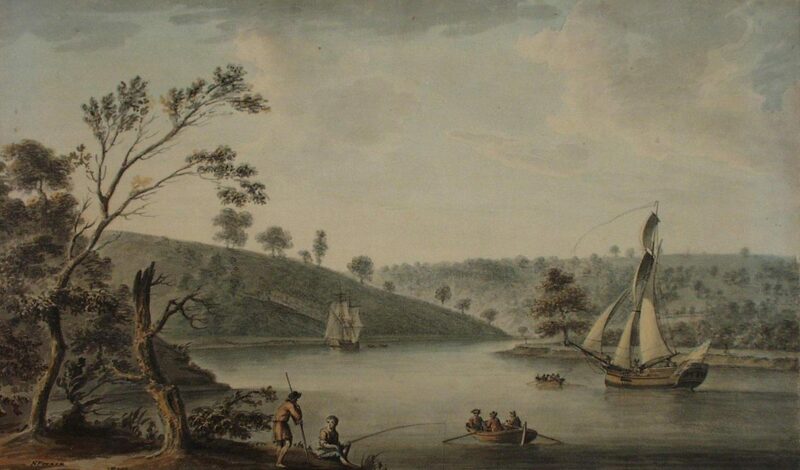 In 1809 The Malago River now enters The New Cut and Bathurst Basin has been created. During the 1800s The Malago becomes progressively culverted. In 1874 (from Fullarton) Jessops lock has been expanded by Brunel and a further junction lock to the North into Cumberland Basin added, designed by Howard. The Frome was culverted from Wade Street in St Judes to Stone Bridge (Quay Head) in about 1860 to 1890 and a drain from the Frome to the Avon running North South added to counter flooding and reduce sewage, Mylnes Culvert. In 1848 Bristol Corporation had taken over the ownership of the harbour. By 1920 some of the docks had been filled in, for example on Wapping to create Princes Wharf. A further section of The Frome in the City Centre from Stone Bridge (Quay Head) down to Baldwin Street had been culverted in the early 1890s and became the tram centre. In 1888 Bristol City Corporation took over Avonmouth and Portishead Docks in recognition that they could accommodate the new larger ships which were unable to navigate the Avon Gorge. The shape of the Docks had changed little between the 1920s and 1950 although a further section of the Frome was culverted from Baldwin Street to Broad Quay in 1938. The locks at Bathurst and Totterdown Basins into the Cut where sealed at the beginning of World War 2 for fear of them being bombed and draining the harbour. The changes in the shape of the docks up to the present day reflect the closure of the main commercial use of the docks for trade in the 1970s towards its new function for leisure and housing. The Merchant Dock was filled in during the 1980s to provide housing (Rownham Mead). In 1980s the Bristol (Baltic Wharf) Marina opened, dug out from Albion Yard and Baltic Wharf. Then in the 1990s The Harbour Inlet Marina was opened, dug from the old Gas Works site. In addition the original Jessop/Brunel lock on the South side of Cumberland Basin has been decommissioned. In the 1990s the Harbour Inlet Marina was dug out from Gas Works site.